Ha! 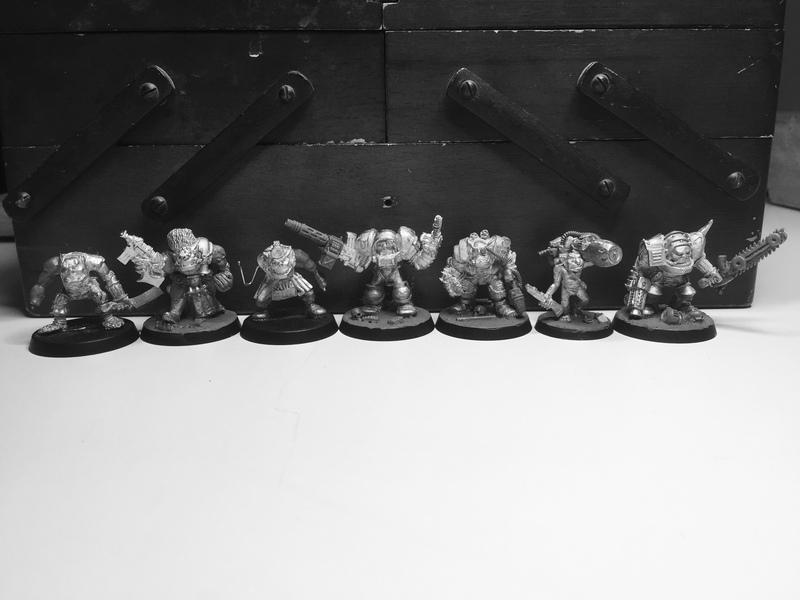 I can’t imagine anyone who intentionally reads this blog being anything but impressed by the trickle of orks. Fantastic work again. Seeing these will be a BOYL highlight, no question. Haha, yeah, good point, kind of goes with the territory I suppose! I suppose I’m anxious to get through the Scumbos and on to the next bit… Could you figure out who’s who? Brilliant work mate. Don’t worry about the repetitiveness… we want more! Lol – well, no concerns there matey – plenty more to come! Jesus Alex, the stamina and renewed enthusiasm in this project is mind blowing. You know, there are plenty of projects we all want to do but sometimes I just get a huge satisfaction from a guy doing it “right”. That’s just how it is here. Really looking forward to seeing this completed and possibly irl ! Aw man, that’s kind of you. I’ve been blown away by all the love & support for this project, which makes it easy to stay focussed. For sure you’ll see it irl dude – BOYL or bust baby!!! I love the grot carrying the plasma cannon. So much character. The painted boyz are cool. How many have you finished now? Yeah, fear not, I’m more than happy to watch these orks emerge. Hordes of greenskins make me a happy man at the best of times, and seeing all the passion you’re pouring into this project is extremely inspiring. Love the idea of the grot carrying “Sally” as well – nice touch! 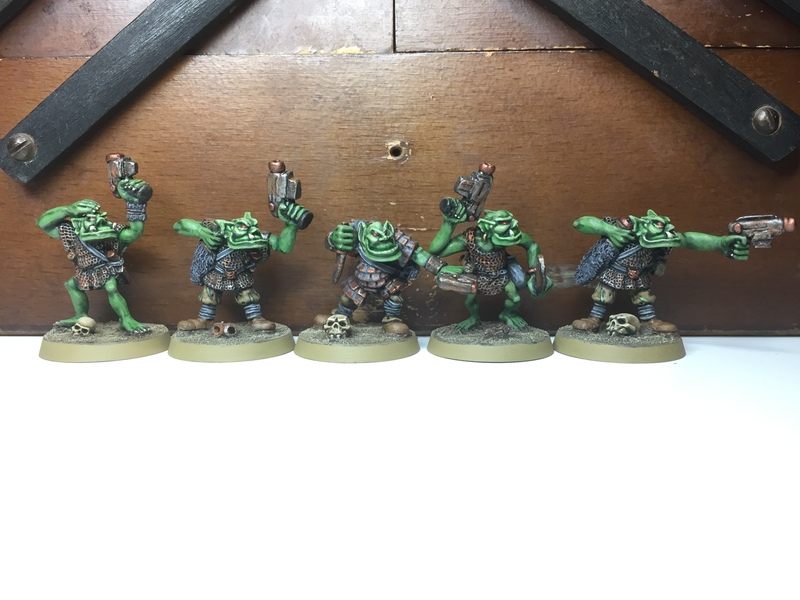 Another great looking group of Skumbos. 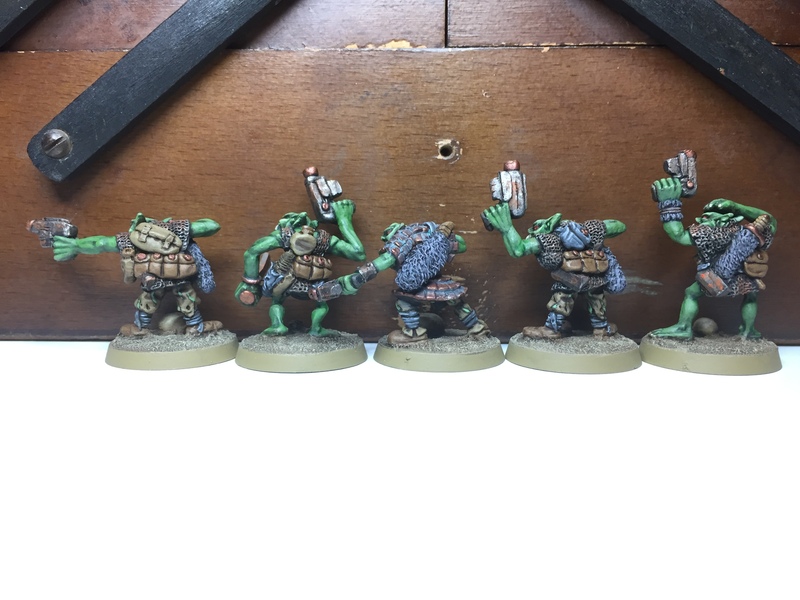 The additional work with the pouches and backpacks might be more time consuming, but it really is worth it to pull the conversions away from the original figures. I am hugely excited to see the characters coming to life. I love clever, fun and interesting conversions like these. I can’t wait to see progress on them! How could anyone get tired of such beauties? Ohh, I’m so looking forward to those characters! Superb. I like the look of fantasy armour with 40k style guns. Great stuff here Alex – and I can’t wait to see those Characters start to trickle out, either! Sounds great – and speaking of February – will you still be doing Fembruary again this year? I’ve been trying to find my Necromunda & Blood Bowl cases filled with neglected models for next month. I’ll see if I can finally get some more old-school Escher done. Excellent work de-archerising them, really well executed. Quite happy with a steady trickle of Skumbo. Pretty impressive and cool. Love to see excellent conversion work and these definitely are so cool. Keep the trickle coming.